Rising consumer consciousness is continuing to heighten demand for plastic feedstock that isn’t quite so harmful to our planet. There are a number of strategies for limiting the impact of plastic production, and no single one is likely to solve the sustainability problem on its own. Taken together, though, the four strategies introduced below represent real promise for limiting the amount of non-renewable feedstock associated with plastic production. They help us to make better use of the materials that have already been produced and ensure that we’re not pushing the problem of petroleum-based plastic production off on the next generation. We’d like to take some time to call attention to these strategies — especially some of the lesser-known ones — highlighting the merits of each strategy while touching on why sustainable plastics matter at all. Tom McKeag is the executive director at the Berkeley Center for Green Chemistry and an expert sitting at the intersection of sustainability and design. Above, he touches on the reasons we can’t leave plastic production in the rearview mirror and also the hurdles that need to be cleared before we can produce it sustainably. What plastics are made of, the way we use them and what we do with them after they’re gone are themes touched on throughout our strategies for more sustainable plastic production. As McKeag suggests, there’s not one thing wrong with the way we’re producing plastics today. The entire lifecycle of these materials needs to be addressed; from the way we select the materials we use to the ways we’re able to dispose of them after their useful life has ended. Organic materials such as starch and other natural fibers can replace petroleum-based feedstocks, greatly reducing the reliance on carbon-dioxide-emitting fossil fuels. Since each gallon of gasoline burned puts nearly 20 pounds of carbon dioxide into the atmosphere, cutting the amount of petroleum used in plastic production wherever possible is a smart step. Reducing petroleum feedstock by 25 percent can decrease greenhouse gas emissions equivalent to removing 16.5 million passenger cars from the road every year. Biobased industrial byproducts have proven effective fillers for petroleum-based plastics. Wood fibers reclaimed from milling operations and agricultural byproducts from farms can also be used to reduce reliance on non-renewable materials. In some cases, renewable or reclaimed materials can reduce the amount of non-renewable petroleum-based feedstock by up to 70 percent. Reducing petroleum feedstock in plastics by just 10 percent saves 280 million barrels of oil a year, reducing CO2 emissions by the equivalent of the CO2 sequestered by 250 million acres of forest. Recycled plastic feedstock is commonly subdivided into two categories: pre-consumer and post-consumer. Pre-consumer recycled material tends to refer to the gathering of the scraps that accumulate, from molders and extruders for instance, and reintroducing them into later production processes. Post-consumer recycling, on the other hand, is the more commonly recognized process of recollecting plastic items after they’ve reached the end of their desired use. Biodegradable plastics are not a solution for plastic litter, but they can help reduce landfill waste, especially when used for food service in conjunction with composting of food waste and in many packaging applications. Solid waste landfills are one of the largest man-made source of methane gas (CH4) in the United States. Methane is a powerful greenhouse gas, 23 times more effective at trapping heat in the atmosphere than CO2. Increasing the composting of food scraps by 25 percent in the U.S. would decrease GHG emissions equivalent to saving more than 15 million barrels of oil per year. And reducing waste disposed in landfills can have climate benefits equivalent to removing 21 percent of the U.S. coal-fired power plants. While the problems of waste and pollution are large and complex, sincere efforts on all of these fronts will decrease the environmental impact of the plastics products we use every day. What do you think? 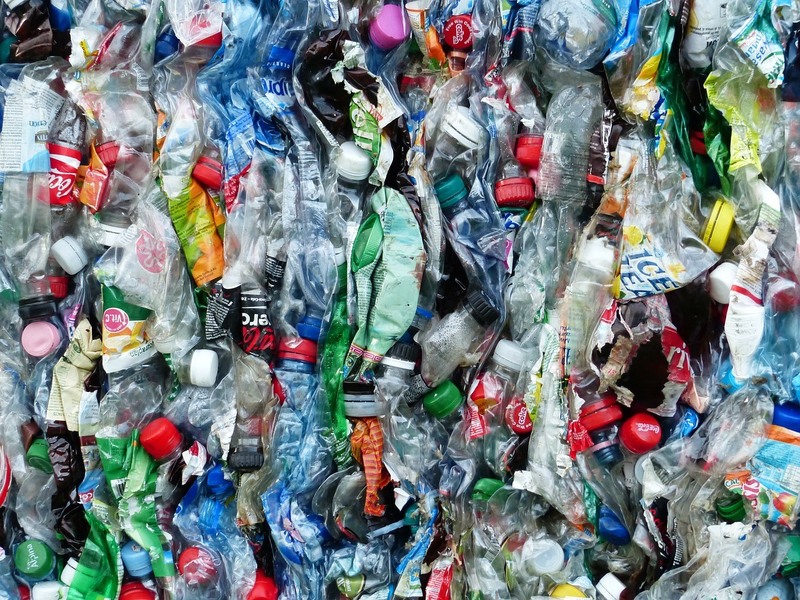 Did we miss any ways the plastic industry can strive to become more sustainable? Let us know in the comments below! Kevin Ireland is the Communications Manager at Green Dot, a bioplastics company.